Your mind can only work as well as your mitochondria, new research suggests. Mitochondria (red) are organelles found in most cells. Mitochondria play a much more central role in how we think than scientists had suspected. They supply the energy without which our brain can’t perform its functions, and can ultimately impair the whole organ as they age and become damaged, a new paper suggests. “Given the multiple first-rate jobs that mitochondria do in the nervous system, it is hardly accidental that their malfunctioning has been associated with virtually every mental or neurological affliction on earth,” wrote authors Peter Kramer and Paola Bressan, researchers at the Università di Padova in Italy. Mitochondria are former prokaryotic cells (bacteria) that at one point in the distant past decided they’ve had enough of this ‘living alone’ thing, so they joined forces with other cells. This agreement, which involves the cells offering nutrients and protection in exchange for mitochondria’s energy, is one that has endured, pretty much unchanged, up to today; mitochondria still retain their own, separate DNA, and live as organelles behind the membranes of other cells. In many ways, this arrangement is the lynchpin that made eukaryotic cells as we know today possible. Mitochondria generate energy then chemically store it as adenosine triphosphate (ATP) and ship it out to the cell. ATP is a molecule that virtually all the cells in your body ‘spend’ when they need energy. Without ATP, our bodies would completely stall — it’s not only important, it’s vital to our cells. Through the process of creating this molecule, however, mitochondria also generate heat and waste products — carbon dioxide, water, and aggressive, corrosive compounds known as free radicals that degrade cells and the mitochondria themselves. Although mitochondria have a number of contingency measures they can employ to deal with this type of damage, they’re only temporary. 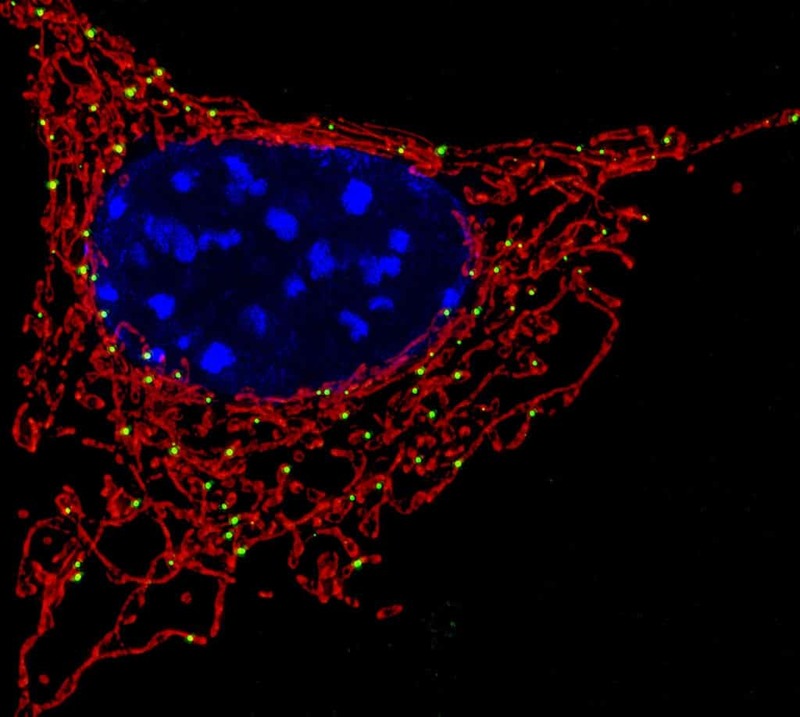 After a certain amount of time, damage builds up beyond the organelle’s ability to fix — so over time, a certain level of mitochondrial dysfunction is inevitable, the authors write. The brain, which regularly gulps down around 25% of the body’s energy, bears the brunt of this wear and tear. In the case of degenerative conditions such as Alzheimer’s or Parkinson’s disease, decreased blood flow to the brain (a consequence of aging) limits the amount of glucose and oxygen that mitochondria there can burn to produce ATP. This shortage of fuel slowly causes neurons to degenerate in energy-intensive regions of the brain, such as those associated with memory (i.e., the hippocampus in Alzheimer’s) or motor planning (i.e., the substantia nigra pars compacta in Parkinson’s). Several rat studies also seem to indicate that low concentrations of ATP in the nucleus accumbens (caused by mitochondrial degradation) could also prop up the symptoms of depression and anxiety, seen as “submissive” behavior in the animals. Kramer and Bressan explain that the link between the two was established by exposing equally-anxious rats to drugs that either inhibited or promoted mitochondrial energy production: the first were likelier to submit to their peers, while the latter exhibited less anxious behavior. Exactly how mitochondria can contribute to such a wide range of disorders is still poorly understood, they add, but luckily, we know how to keep them healthy: exercise, sufficient sleep, a healthy and nutrient-rich diet, as well as engaging in stress-reducing activity all help, the authors write. The paper “Our (Mother’s) Mitochondria and Our Mind” has been published in the journal Perspectives on Psychological Science.